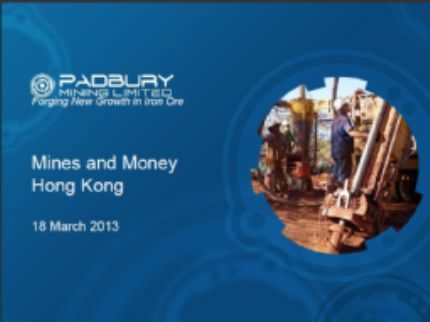 Sydney, Aug 11, 2011 AEST (ABN Newswire) - Padbury Mining Limited ( ASX:PDY) is pleased to advise that it has appointed Mr Dan Podger as Project Manager for the Peak Hill Iron Project, a joint venture between Padbury Mining Limited and Aurium Resources ( ASX:AGU). 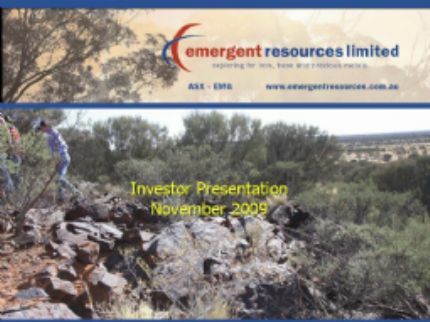 A qualified Geologist, Mr Podger brings a wealth of iron ore expertise to the project, having worked in similar positions with Gindalbie Metals ( ASX:GBG), Accent Resources ( ASX:ACS), Emergent Resources ( ASX:EMG) and Fortescue Metals Group ( ASX:FMG). As a field Geologist with FMG, Mr Podger supervised the drilling and sampling of Christmas Creek and the initial drilling of the Cloud Break test pit area. He worked as a staff geologist with Gindalbie where he was tasked with the execution of resource definition drilling of the Karara deposit. During his time with Accent and Emergent, Mr Podger managed the magnetite project feasibility including exploration, resource development, metallurgical evaluation, processing plant design and investigating infrastructure/logistics options. Mr Podger's most recent role was with Rio Tinto ( ASX:RIO), where he worked as manager of its resource geology evaluation projects area, working on projects including Hope Downs-Coondiner, Beasley River and Brockman Syncline satellite Marra Mamba deposits. 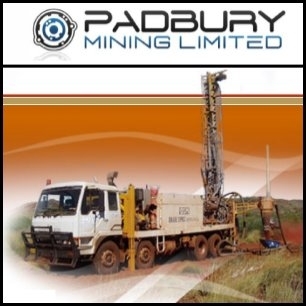 Padbury Mining Limited (ASX:PDY) is a Perth-based, ASX-listed mineral exploration company focused on the development of its significant iron ore assets in Western Australia's Mid West region. The company's flagship Peak Hill Iron Joint Venture is a highly prospective magnetite and hematite iron ore project located at Robison Range, about 450km north east of Geraldton. The Company has a solid program of work planned to develop the Peak Hill project over the next three years, with production targeted for 2015-2016.